Handmade paper flowers are great for decorations because they look just like natural flowers but last longer and never wilt. Also, they come in a variety of colors and forms that are suitable for any season. Especially in colder seasons when fresh flowers are not readily available, using paper flowers to decorate your home or parties will be a good idea. 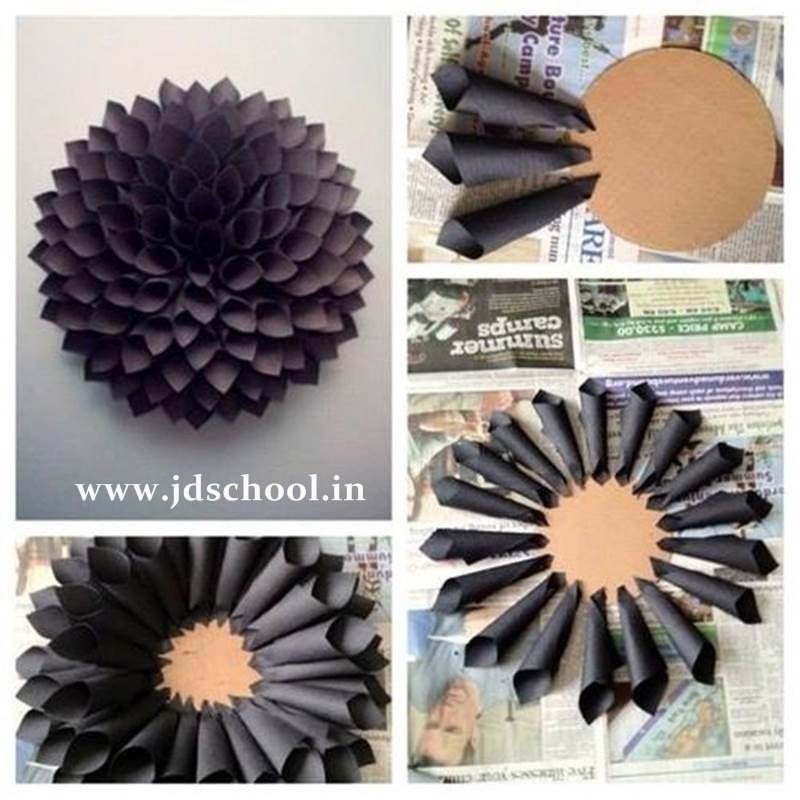 Here is a nice DIY project to make a paper dahlia wreath. It’s really fun and easy to make. No sophisticated skills are required and you can work on this easy craft with your kids. You can use different colors of paper to make it. I think you can use black paper for Halloween decorations, while use bright colored paper for other holiday decorations. The result is this gorgeous paper dahlia wreaththat you can hang up to decorate your doors or walls. Happy crafting!